DESCRIPTION: This house has been updated top to bottom inside and out. New paint, flooring, kitchen cabinets, counter-tops and appliances. 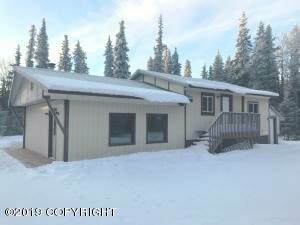 You will love the family room w/wood stove, laundry room and finished basement not to mention the high eff gas boiler. Large lot. All this and priced to sell! DRIVING DIRECTIONS: K-Beach to West poppy, L on Kustatan, driveway is at the end of Kustatan on the right.